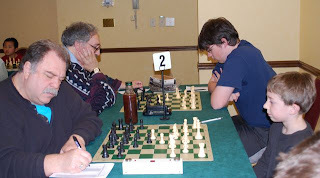 This Journal is for the posting of Local, State, National, or International Chess News. To post here, click on the link below and enter the user name and password. Then click on the NEW POST button. Some winners from our quest. Can you say 'big pieces'? 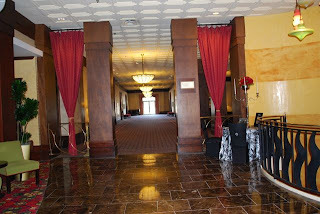 Renaissance hotel a beautiful playing venue. Chess players at our monthly quest. FREE to ALL RKNIGHTS MEMBERS! 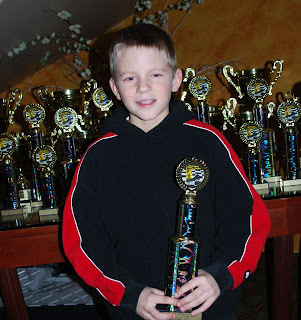 FOR SEMI-INTERMEDIATE CHESS PLAYERS(1000-1400) strength players! Presently has over 85 chess books available, for lending...up to 4 weeks! 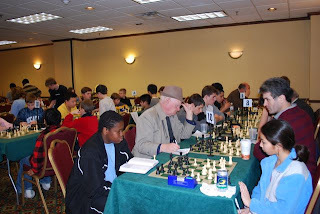 A 501 (C) (3) nonprofit org formed to improve academic, intellectual & social skills through chess. The free program includes beginner's chess lessons, games, skittles, simuls, & fun! 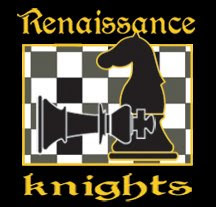 Illinois Scholastic Chess was created by the Renaissance Knights Foundation to improve communication between educators, parents, and kids involved in scholastic chess. 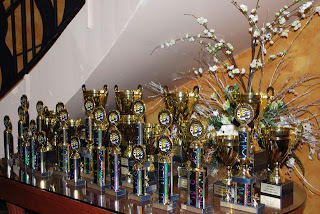 With interest in scholastic chess growing Illinois Scholastic Chess is a resource for tournaments, camps, events, information, & fun.Everyone is welcomed to submit events, tournaments & information! 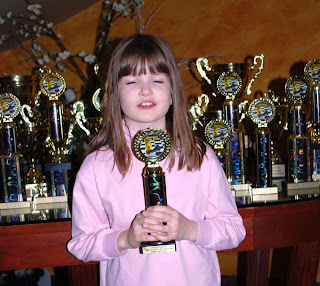 free chess lessons for beginners. The chess lessons will be a community service provided by a variety of experienced tournament players including experts & masters. The classes will be open to the public to come & learn the basics of chess. This free program is part of RKNIGHTS mission to promote the awareness & stimulation of chess for all ages. The classes will be 1 hour from 3:30-4:30.
is collecting Chess Sets for the soldiers in Iraq. $10.00 to purchase a set (includes shipping). will list all who contribute. 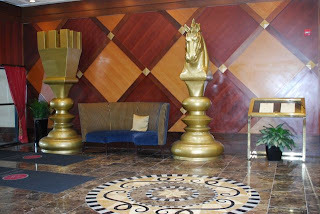 The RENAISSANCE KNIGHTS FOUNDATION is seeking donations for the ‘Chess Sets 4 Schools’ community project. The goal of the project is to put 2 chess sets in every elementary school classroom in the Cook and Lake Counties. The foundation hopes to raise the money through donations from local businesses and individuals. The chess sets are tournament quality plastic chess pieces, a 20” x 20” vinyl chess board and nylon bags to keep the chess pieces in. Included with the sets will be a package of materials to aid the teachers to use chess in the classroom and information on additional resources available on the internet. 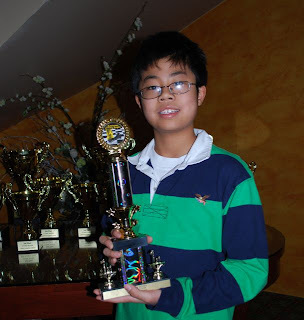 ILLINOIS SCHOLASTIC CHESS website which has a section of teacher’s resources including handouts that can be used in the classroom. We appreciate your consideration for supporting us; donations of any amount would be gratefully received. We know these projects will help us have a greater impact on the youth in the communities we serve. Operations Director, Sheila Heiser, at 847-526-9025 with any questions. The foundation is a tax-exempt 501(c) (3) nonprofit organization. Your gift is tax deductible to the full extent of the law. 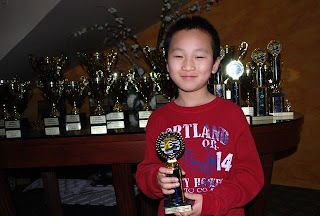 A 501 (C) (3) nonprofit organization formed to improve academic, intellectual & social skills through chess. IM Stan Smetankin for giving a great chess lesson to all and enjoying the boat ride so much he wants to come back for more! Eileen Schmakel for bringing the extra desserts... & as always... she was so helpful in all the days' endeavours. Sam Schmakel who was King of the tubing, when everyone else fell off... he was the lone survivor who held on! Howard Fried for giving the best boat rides & tubing fun...a Chess Holiday could possibly have! We are grateful Kent Cen finally found his shoes with the help of Justin Feng... (by the outdoor pool) at the end of a great fun day! Dean Arond who we were so happy to see, for we haven't seen him for awhile... Vladamir Djordjevic who traveled far to be with friends...& Howard Cohen who shared his interesting chess stories...& everyone who came to make a special day for all! THE HARBOUR CLUB on Bangs Lake! Soda & Coffee will be provided! working together to enhance chess! Don't forget to pack your bathing suit with your chess set & clock! 1 ) e4 c5 2 ) Nf3 Nc6 3 ) d4 cxd4 4 ) Nxd4 Qb6 (This book line is not seen as often as some of the other alternatives such as e6, d6, g6, & Nf6) 5 ) Nxc6 (Better is Nb3 as in the line where 4...Nf6 5Nc3 Qb6 is played. )5 )…bxc6 (As we are all taught, capture towards the center) 6 ) Bd3 g6 7 ) Nc3 Bg7 8 ) 0-0 d6 9 ) Bd2 Nf6 10) Rb1 (Relieving the pressure from the b2 pawn) 10)….0-0 11) b4 (This move weakens the Queenside and leaves the Knight on c3 in danger) 11)….Ng4 12) Qe2 Ne5 13) Be3 Qc7 14) Nd1 Nxd3 15) Qxd3 (if cxd3 to attempt d4 black can respond Qd6 to stop it. Or black can begin to attack with f5, which also prevents white from building up a pawn center) 15)….a5 16) bxa5 Qxa5 (You now can begin to see the holes in the white queenside) 17) Bd4 Ba6 18) c4 Qxa2 !? (Better is Bxd4 followed by e5 after the Queen recaptures, and then d5 with a winning pin on the diagonal.) 19) Ne3 Qa5 (To protect against Ra1 and to better position the Queen) 20) Rb3 Bxd4 21) Qxd4 Rfd8 22) Ng4 f6 23) Rf3 (this was the reason for Ng4) 23)….Rf8 24) Rd1 (If Qxd7, then Bxc4 with the tempo of attack on the Rook) 24)….h5 25) Nxf6ch ! exf6 26) Rxf6 Qe5 27) Rxg6ch Kh7 28) Qxd6 Qxd6 (And now white has obtain 3 potentially dangerous pawns for the piece) 29) Rdxd6 Bxc4 30) f3 (To prevent the mate) 30)….Bc4 31) Rh6ch Kg7 32) Rxh5 Ra1 33) Kf2 Rfa8 34) Re5 R8a7 (to protect against any potential mate threat.) 35) h4 R7a2 36) Kg3 Rg1 37) Rg5ch Kf7 38) Kh2 Ra1 The score sheet does not indicate which rook was moved to a1, but since after white’s next move of 39) Rh6 a draw was agreed it doesn‘t matter. I would guess that it was 38)…Raa1, otherwise the pawn on h4 could march to glory. 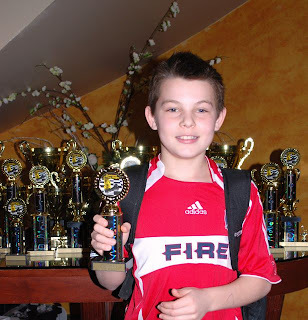 Chicago School Teacher and Chess Coach, John P. Buky, has won the Fund For Teachers Grant on his project: Integrating Chess Into the Elementary Mathematics School Curriculum. 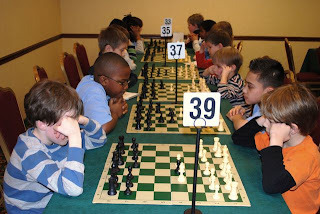 This will pave the way towards bringing chess into every Elementary Chicago Public School Classroom.